Injection Treatment - OPD Treatment for Grade I & Grade II Piles. No need for hospital admission. Can go home in 2-3 hours. IRS - Infrared therapy - OPD Treatment. Harmonic Scalpel Treatment - Bloodless surgery. Admission for one day only. Stapler Treatment - Most modern. Go Home in 24 hours. Can join duty in 48 hrs. Latest sophisticated treatment of piles by stapler which requires no operation, no stitches, no blood loss & no admission beyond 24 Hrs. We are engaged in providing Piles Surgery service. 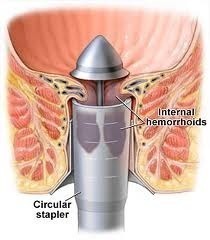 I have done over 500 stapler surgeries ( MIPH) for Piles. Also have treated simple and complex fistula in ano cases with very good results.